Aquantec Ocean manages and employs raw and derived market data. 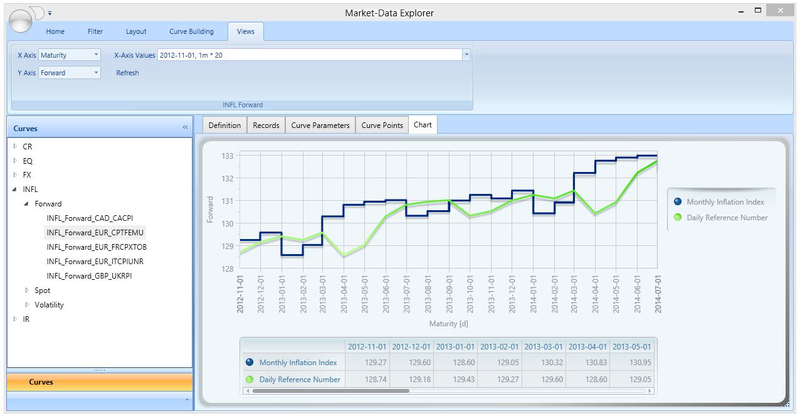 Raw market data comprise quotes from all asset classes, e.g., equity spot values, foreign-exchange rates, credit spreads, par interest rates, option premiums, and implied volatilities. These market-data quotes can be conveniently imported from various sources. 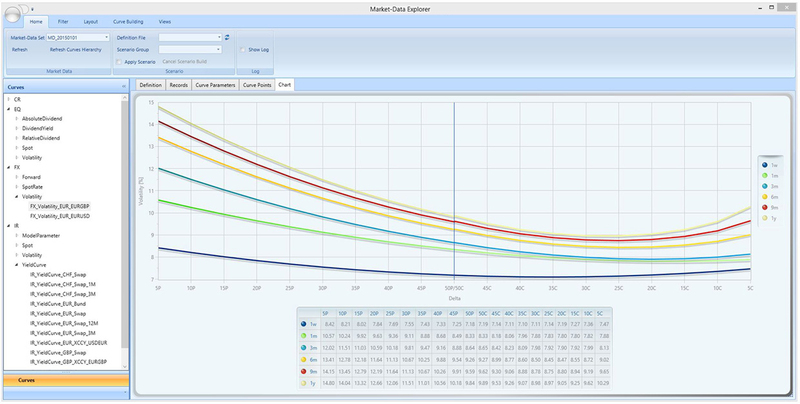 The quotes of benchmark instruments provide the basis for the building and calibration of derived market data represented as market-data curves. Dependencies between curves are automatically taken into account. 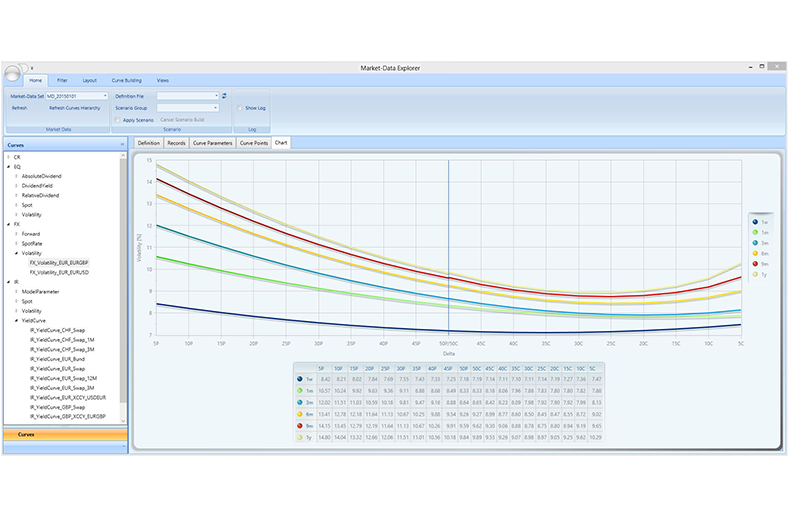 Yield curves can be derived from quotes (e.g., par rates) for various combinations of benchmark instruments. Default probabilities can be bootstrapped from CDS spreads, bond yield curves, or prices. FX volatility smiles can be constructed from at-the-money, butterfly, and risk-reversal quotes. Dividends can be modeled with continuous dividend yields and discrete absolute or relative cash amounts. In addition, model parameters are calibrated with the help of global or local optimization algorithms, which may be tuned by optimization parameters. 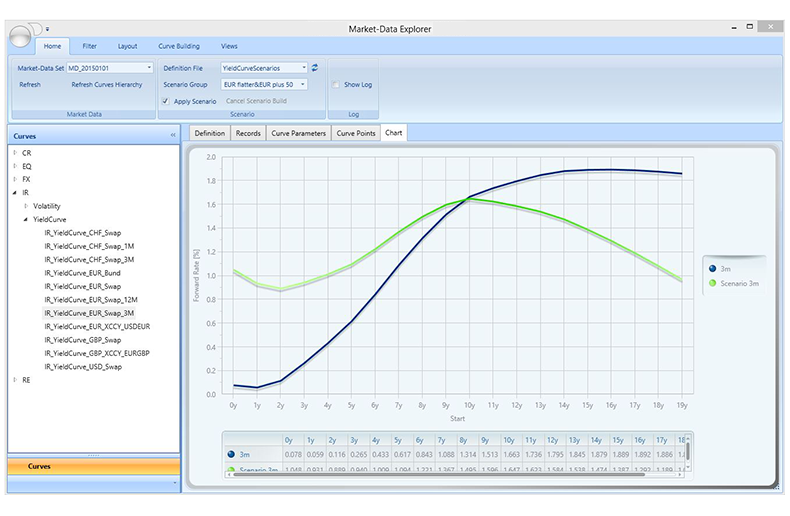 Generic business abstractions for quoted and derived market data and a flexible framework for the definition, calibration, and mapping of market-data curves have been designed to cope with the challenges of a multi-curve world. 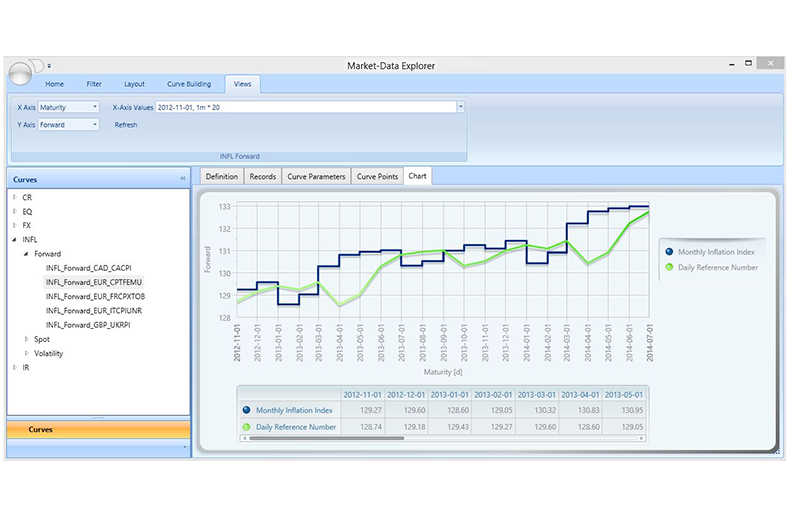 Different aspects and representations of market data and the impact of transformation scenarios can be visualized by interactive and customizable charts. 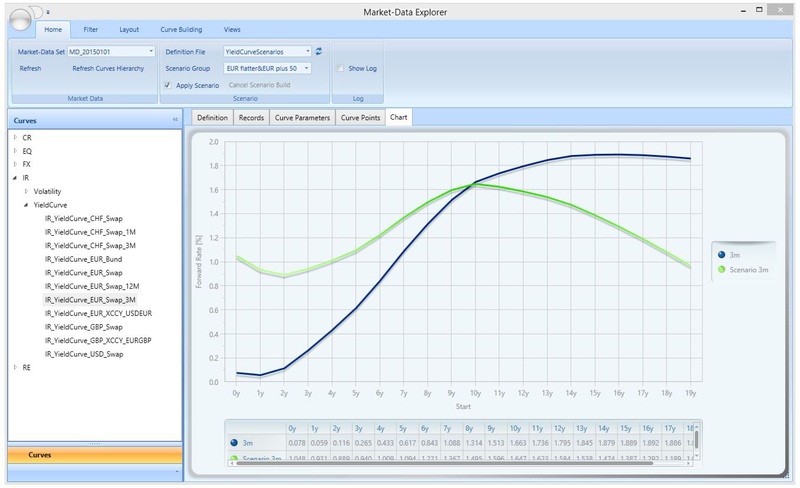 Both the import of market-data quotes and the building of market-data curves have been automated and can be configured for an easy integration into existing landscapes.